DING DONG! ICE CREAM! You must remember it from your youth – that wonderful sound on lazy summer afternoons that made your mouth water and your mother despair. Can you still remember what it looked like? And because all is fair in love and ice cream trucks, we’re not focusing on a specific technique or application. Instead we’ll only define the topic and let you run with it. TL;DR: create the coolest (huh) ice cream truck you can using your favourite tools, upload it to Sketchfab and tag it with #IceCreamTruckChallenge. This challenge covers both modeling and texturing: create an icecream truck using your favourite tools. Any technique goes! You can use sculpting, box modeling, voxels – you name it! We’ll be looking for the most visually interesting models. 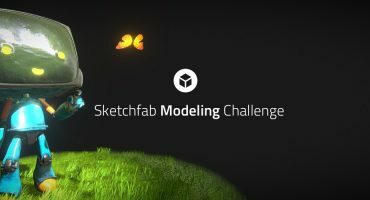 Once you’ve created your scene, upload it to Sketchfab, tag it #IceCreamTruckChallenge. Kevin Cayuela Borg, Sketchfab Master. 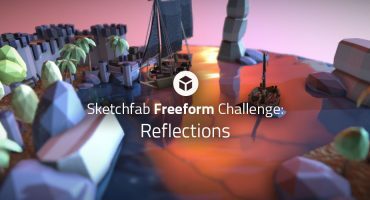 The winner receives a $100 Amazon gift card (or equivalent if you don’t have access to Amazon), and of course we’ll add three months of Sketchfab PRO to your account & a Staff Pick for the winning entry. 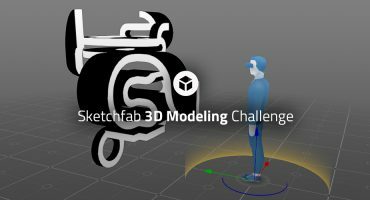 Contestants models must be uploaded to Sketchfab and tagged #IceCreamTruckChallenge to be considered. The winners will be contacted by Friday, December 15.